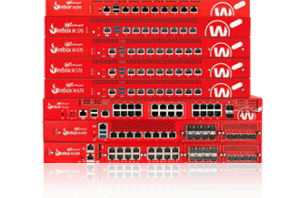 WatchGuard is a pioneer in the development and delivery of cutting-edge cyber security technology, presenting industry-leading network security, secure Wi-Fi and network intelligence products and services as easy-to-deploy and easy-to-manage solutions that addresses the rapidly evolving threat landscape. Comprehensive portfolio of network security services, including conventional IPS and Gateway AV, to more advanced services such as file sandboxing and DLP. 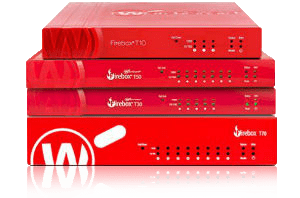 All WatchGuard security services are delivered as integrated solutions within a cost effective, easy to manage Firebox appliance. Broad portfolio of Firebox solutions ranging from physical tabletop and 1U rack-mounted models to virtualized and cloud-based offerings. 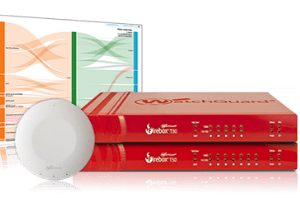 WatchGuard offers a selection of wireless security solutions including wireless-enabled Firebox appliances, Wireless Intrusion Prevention Systems and cloud-ready access points. WatchGuard Wi-Fi Access Points present a secure, scalable and simple to control cloud-ready Wi-Fi solution. Architected from the ground-up, WatchGuard’s wireless security solutions centre on ease of implementation and operation, presenting organisations with fast, secure and intelligent Wi-Fi. WatchGuard management and visibility platforms ensure the deployment of its solutions are quick, ongoing management is straight-forward and information is actionable. Management and visibility platforms are designed to instantly identify, isolate and stop network security threats, issues and trends. Management options for every core security function, meeting the needs of corporate systems administrators, security specialists and managed services administrators. As an authorised partner, working together for over 15 years, eSpida’s understanding of the WatchGuard portfolio is extensive. We hold a wealth of experience and expertise in the security sector and have consultants specifically dedicated to security. These consultants enable our customers to get the very best from their WatchGuard devices. Our technical consultants are fully accredited and are able to competently assist you in the defence against cyber threats.